I'll be honest. This blog is all over the place. That being said, if you enjoy reading about adventures in parenting, have an appreciation for art and design, get a kick out of people who post about cooking who can't really cook, secretly or not so secretly love tracing their ancestry and can relate with someone who tries their best- at least 94% of the time- you may be be interested in this blog. After all, we are all a work in progress. I shed a couple of tears as I laid there, using the sometimes starved right half of my brain. Imagining. Remembering. I saw my feet slipping on sandals, and down the stairs, over grass and pavement to the sandy path. All my leg muscles working to make my way up and over the dunes; soft, dry sand kicking up over my toes and reaching the back of my calves. 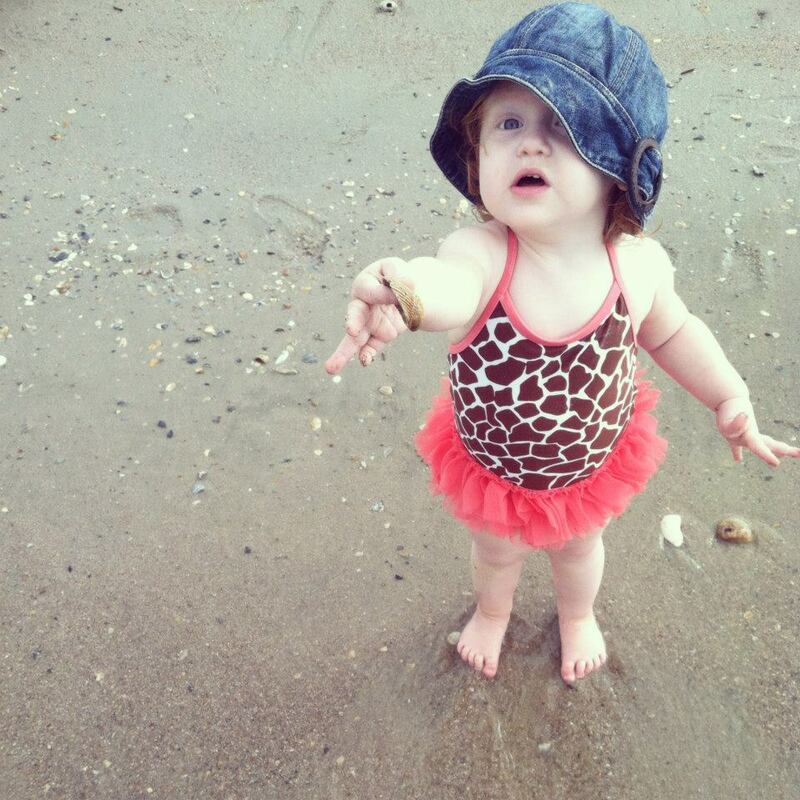 I make it past the shore line brush and hear a joyful shriek of “WA-WA!” The little curly-haired red-head and I pick up shells, and feel the breaking water over our feet. She runs away from the small waves crashing, but I go in deeper. 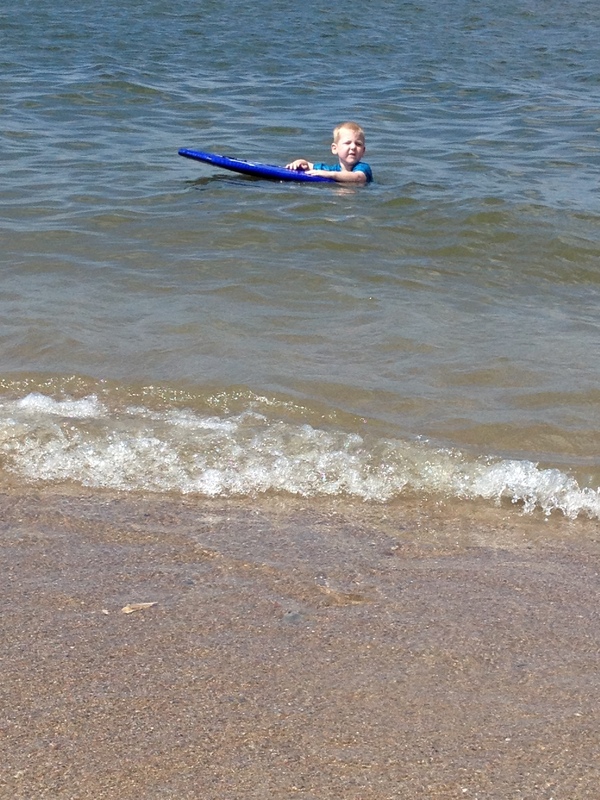 A tow-headed boy with a blue boogie board, seemingly too big for his five-year old body, calls to me, “Mommy! Do you want to ride the waves with me!? Swim with me!” We spot dolphins just 20 yards away. The air is salty and thick with humidity, but we don’t mind. This quiet sound off the Atlantic Ocean is filling our heart tanks and breathing rest into our lungs. I wade towards the shore and step out onto the shell-filled sand once more finding shiny, yet broken treasures. I keep them in a bucket and I feel like a little girl again. I feel close to God’s heart, finding and admiring sea treasures that might not catch anyone else’s eye, but I see their value. I see how the wind and rain and sea has tossed them and weathered them- some unrecognizable. Like human hearts. “Are you doing alright?” she asked, with her doctor’s mask and goggles with special lights on it. “Uh huh.” I had come back from my mind’s beach sanctuary to the reality that there was drilling and scraping and pressure going on in my mouth to help alleviate a small crack in my molar that wasn’t healing itself since March. How dare it. I felt hot and weak and nauseous from the anesthesia needles and nervous at the pain that might come anyway. I felt guilty about how much aversion to physical pain I have. I feel unnecessarily guilty about a lot of things, but I thought about ebola and the children victim to ISIS and paralyzing depression that leads to suicide and hated how low my pain tolerance was to getting a flippin root canal that I even have medical insurance helping to cover. Shut up, Allison! Jesus cares about those fears, too. Was that thought mere self-enabling? Or the truth? Jesus cares about my tears over being nervous in the dental chair and he cares about my heart-filling experience with my family to the beach. It will be fuel for another cold winter that lies ahead. My shape and the degree of weathering is going to look different from the other shells. We are all accounted for though. Not one hurt or wound or death is in vain. He sees each tear. None are frivolous to Him. No one gets through this life without deep hurt of some sort. Those of us fortunate to live a life with family, friends, food, a home, a car (or more), medical care in a free country are fortunate indeed. Even with all that, subtle evils attack and lives fall apart. No one is out of an enemy’s reach, physical or spiritual. So we can share tears. Pain, joy, whichever- it’s something that if we let others in enough, we can start to see their weathered hearts but love them anyway. Admire them, hear the stories. Learn. Mourn. Laugh. Encourage.I’m so guilty of taking this life for granted. For judging others before I know the whole story. Are you? I hope I’m not alone. There is beauty in the shells, rocks and glass that are in the middle of their journey of being smoothed and refined, though some just look beaten and rough. 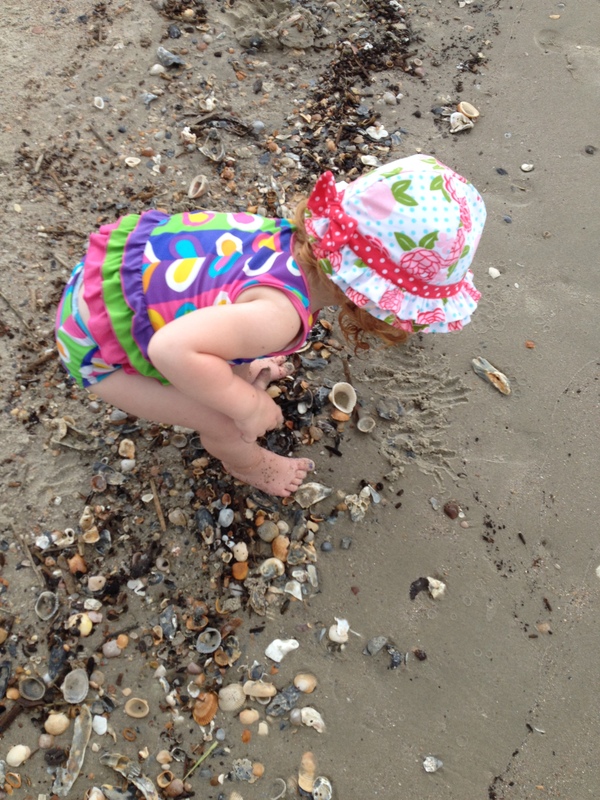 There is beauty in tiny grains of sand, former shells that shattered and broken or worn down next to nothing. I’m okay with feeling vulnerable and small, when I remember the One who holds the grains of sand and the stars in the sky.